And enterprise cloud backup is your number one defense. Hope they provide encryption key to unlock systems & files. Restore systems to a point BEFORE infection. How long would it take you to restore your systems to pre-infection? Would the downtime be costlier or more disastrous than paying the ransom? Infrascale's motto is: ERADICATE DOWNTIME. Our solution will make sure you can roll back quickly. Ransomware Playbook when you sign up for a trial. You’re well on your way to protecting your organization from ransomware. In the next few minutes, you’ll receive an email outlining the steps you need to follow to setup your free 60-day trial. Try checking your spam folder or we can resend it. 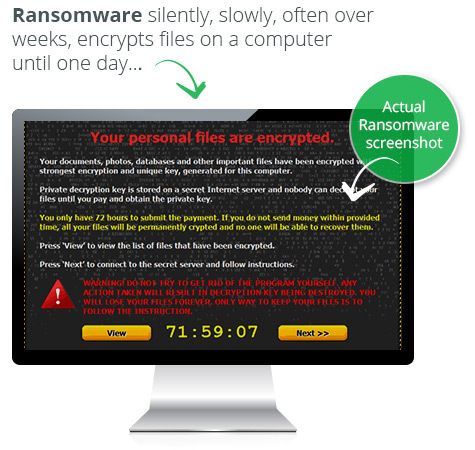 As a special thanks for checking us, we wanted to send you The Ultimate Ransomware Playbook.